ELLISVILLE, Mississippi — With only three days until the polls open for the GOP Senate primary here and former Alaska Gov. 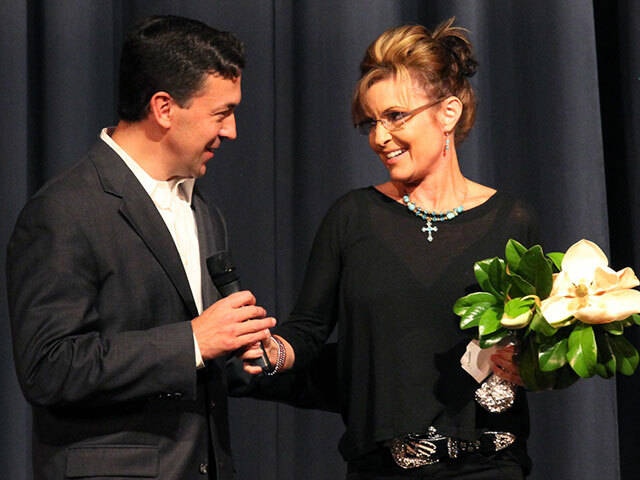 Sarah Palin at his side, State Sen. Chris McDaniel vowed to fight President Barack Obama alongside Sens. Ted Cruz (R-TX), Mike Lee (R-UT) and Rand Paul (R-KY) in front of a raucous audience of thousands. Americans, McDaniel said, have fallen for a “great delusion”– that only government can solve all of the nation’s problems. 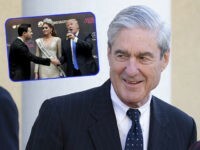 Noting that he grew up “hanging out” in the auditorium holding the event, his father was a professor at Jones County Junior College, where the venue was, McDaniel recalled his introduction to politics. “Ladies and gentlemen, your constitution is not subject to compromise. I’ve got 17.5 trillion reasons to never again compromise on the debt. We stand here fighting what I consider to be the worst president in our country’s history. In this environment, where our conservative values are being attacked, where our conservative beliefs are being attacked, where our Constitution is being attacked, silence is complicity,” McDaniel added. McDaniel began a call-and-answer section of the speech that envigorated the crowd. “NO!” the audience, most of whom were still on their feet, replied. “But the first Republican senator to cross the aisle and support the Democrats against our wishes was none other than Sen. Thad Cochran of Mississippi,” McDaniel fired away, while thousands in attendance booed Cochran. McDaniel continued, showing a comfort and command of the crowd he hadn’t previously exhibited on the campaign trail. He vowed to “kill” Obamacare, impose term limits, and worked said he would work to enact the policy agenda of Lee and Cruz. Towards the end of the speech, McDaniel offered a joke that hit at the heart of his campaign message – one that seems to be resonating deeply among Republicans here even as McDaniel has faced difficulties from the arrest of a blogger who allegedly entered Cochran’s wife’s residence to photograph her.